When I am troubled about a relationship, when there seems to be a cloud of confusion about a particular topic, I go to scripture . . . and I always receive an answer. Today has brought me clarity to another thorny problem, and I thank God for his quick and clear answer to my question. Yesterday we spent some time with the second chapter of Daniel in which we discussed how our little gods insist on being carried and served while the Living God carries and serves us. We reminded ourselves of how faithfully God turns all harm into goodness. And we wondered if we might – like Daniel – have the courage to take a public stand on thorny issues. We concluded our thoughts knowing that humility and fidelity will always bring us to mercy and truth. Today we look at one verse from Daniel’s story: You have framed a false and deceitful interpretation to present me with till the crisis is past. Too frequently we humans are tempted to throw blame for error on others. We are too quick to fog the truth. We are too willing to stand silent while others are persecuted; too happy to shy away from responsibility; to eager to avoid conflict. This may be a good time to pause in our Lenten journey to evaluate ourselves and our relationship with others in order to assess how well – or how poorly – we speak for truth; and often – or how seldom – we stand for clarity and authenticity. An examination of our relationship with God and others must be candid and deep . . . and so we ask ourselves this basic question: When or how have we framed a false and deceitful interpretation of a conversation in order to avoid accepting responsibility? Further questions flow from an honest evaluation. What have been the consequences of stalling for time while others suffer? Why have we participated in plots of lies and deception? How have we contributed to crises and neglected to act in peace? Who have been our companions in life’s journey: those who act in fear or those act in love? We learn about ourselves when we take this sort of journey; and we come to know why we sleep in peace or are rattled by doubt. When we respond honestly to this kind of inquiry we begin to reach into our best selves, and we draw nearer to God. If our answers to these difficult questions are positive and good then we can take heart and continue to move forward. If our answers embarrass or shame us, if we are unhappy with the way in which we rely on ourselves more than we trust God, we might take this opportunity to turn away from the little gods that insist on sapping our energy and diluting our will. We can give all that we are and all that we do to The Living God who loves us so well and so much. It may be a new experience for us to go to someone we have wronged to ask forgiveness, but this is how we show repentance. It may be complicated to sort out the truth from the lies in our relationships, but is the first step toward honesty and authenticity. It may be a difficult journey inward as we strip away pretense to arrive at our true selves, but it essential if we wish to truly know peace. You have framed a false and deceitful interpretation to present me with till the crisis is past. Let us pray that if or when these words are spoken about us we will have the spiritual energy to resist the lure of a life lived without blame, that we will turn away from a life lived in shadow, and that we will continue to turn to The Living God when we find ourselves among the thorns. A re-post from March 24, 2012. We have renounced shameful, hidden things . . .
Just recently in my workplace we have undergone a quality review by visitors from outside our community and we have been commended for our integrity. This comes at no small cost. It takes scrupulous honesty to peel away the sham and artifice in order to allow the gentle truth to emerge. This kind of deep and searching honesty is frequently an unwelcome guest of the heart. We shrink from repentance; we do not want to change. We prefer the walls we have constructed that block out any fear that might cause us to change for the better. We must move away from all hidden agendas and come into the light. We have not acted deceitfully or falsified the word of God . . .
Just recently in my family we have suffered a soul-shattering loss and we continue to struggle with ourselves and with one another. Truths must be pronounced but gently . . . kindly . . . mercifully. The enormity of our grief might cause us to hide, or it may impel us to strike out at one another. It is possible to nurse sad feelings or harbor grief; we may possibly ignore the growth that our suffering offers. Or we might grow in wisdom as we allow the Spirit to open and heal us. We might allow our divinity to teach us about our humanity. In order to find union with God and mend our broken spirit, we must remove ourselves from deceit and we must allow God’s truth to guide us. And we must do this lovingly . . . gratefully. By the open declaration of the truth we commend ourselves to everyone’s conscience in the sight of God . . .
As humans we tend to think that we exist in isolation. The skin that contains our organs prevents us from physically occupying the space someone else holds. We live in the illusion that we can hide from one another. We allow small lies to color our stories, our perspectives and our opinions. We forget that all that we are and all that we do are of and from God. We live in the illusion that we create ourselves when the scrupulous truth is that we are co-creators of life with God. When we move away from sham and artifice we can see all of this more clearly. And when we spend time with God to sort through our sorrows, we become less frightened, less egocentric. We become more loving, more vulnerable. We become the promise God has hoped for us. We do not preach ourselves but Jesus Christ as Lord . . . and ourselves as your slaves for the sake of Jesus. When we spend time worrying about ourselves and not others we have the wrong end of the stick. God creates us to serve one another rather than be served. God wants us to tend to one another rather than to be tended. We are created to advocate for others . . . not to hide from, lie to, deceive or trample others. When we become slaves for the sake of Christ Jesus we begin to fulfill our potential. We prepare ourselves in the best way possible for our union with God. For God who said, “Let light shine out of darkness,” has shone in our hearts to bring to light the knowledge of the glory of God on the face of Jesus Christ. We are created to make known God’s goodness to others, and it is our scrupulous honesty that opens us to God’s light. It is in this way that we become a fearless, grateful, authentic revelation of God’s love. A re-post from November 18, 2011. If we get away from ambient light to look into the heavens on a clear night, we will see millions of stars . . . and it is all too breath-taking. The sky proclaims the builder’s craft. On a clear day when we look into the skies, we see powder puffs or high horse tails of clouds; on other days the banks and streaks of clouds announce a coming storm . . . and it is all too awesome. The sky proclaims the builder’s craft. If we look at the one who announces God among us, Jesus, we see that . . . he is all too splendid. He too, proclaims the builder’s craft. He is the Lord’s law, the new law that supersedes the old and fulfills the promises made to Abraham. The psalmist describes this law, this Christ to us. He is . . . perfect, refreshing, trustworthy, giving wisdom, right, clear, pure, true, desirable, and sweet. He comes to save and restore. He is among us to transform. He is our rock and our redeemer. We are also the builder’s craft for we are created in God’s image, adopted as Jesus’ sisters and brothers, consoled and protected by God’s Spirit. When we allow ourselves to be cleansed of our faults – both known and unknown – then shall we be blameless and innocent of grave sin. Then will the words or our mouths meet with the Lord’s favor. Then will we keep our thoughts ever before God. Then will we fully know that we are, like the skies, the handiwork of God’s loving hands. Then will we declare with full voice the glory of God, and like the skies, then will we . . . proclaim the builder’s craft. A re-post from November 8, 2011. Jeremiah knows that the exile will be long and harsh . . . yet no one believes him because it does not coincide with the false view many find easier to hold. It seems that nothing much has changed in the intervening millennia since this story; we humans would rather cling to the falsehood that matches our view rather than change our thinking to the truth. Today’s citation tells us that it is better to adjust ourselves to reality because no amount of manipulation or coercion will hide the obvious. My dad liked to say: The truth comes out in the end so we might as well get used to it as soon as we can. In today’s case, Jeremiah accurately predicts that even the conquerors will themselves be conquered and he predicts an unpleasant winnowing. The imagery is brutal, the devastation complete. There is no escaping the consequences that result from greed, corruption, and mollification. The prophet Jeremiah sees collusion between his own leaders and those who of Israel’s pagan neighbors and while the “optimistic view” cited above may be popular, it is not honest. And so Jeremiah outs the lies. He does as God asks and sends his prophecies to Babylon via the brother of his secretary, Baruch. It is difficult to speak truth with respect, to express candor gently; and it may, in fact, even place us in danger. When we see that everyone around us chooses to believe a myth created by the powerful and wealthy, we must speak honestly but with mercy no matter the cost to us. It is in this way that we adjust ourselves to reality rather than follow the fashionable fairy story. It is in this way that we honor ourselves and others who speak truth. It is in this way that we praise and honor our God. From today’s first reading at Mass, The Feast of Jesus’ Transfiguration, 2 Peter 1:16-19: Beloved: We did not follow cleverly devised myths when we made known to you the power and coming of our Lord Jesus Christ, but we have been eyewitnesses of his majesty. For he received honor and glory from God the Father when that unique declaration came to him from majestic glory, “This is my Son, my beloved with whom I am well pleased”. We ourselves heard this voice . . . Moreover, we possess the prophetic message that is altogether reliable. You will do well to be attentive to it, as to a lamp shining in a dark place until day dawns and the morning star rises in your hearts”. Peter knows that he cannot remain silent about the story he has witnessed and, like Jeremiah, he knows that he must speak so that others might adjust to the amazing reality that what seems impossible is real, that we are created and loved by God and that God wants nothing but goodness for us and from us. We are called to seek truth, to cling to it and to celebrate it with others who are willing to adjust their vision to be in line with God’s. Once we cease nodding in idiotic agreement with the myths woven by those who are vested in them, we will see and know God’s truth, and we will not be silenced. We too, will write out the prophecy that God commands . . . and we will adjust ourselves to God’s vision. Mays, James L., ed. HARPERCOLLINS BIBLE COMMENTARY. New York, New York: HarperCollins Publishers, 1988. 576. Print. A re-post from August 6, 2011. A re-post from August 1, 2011. The psalmist reminds us that: The idols of the nations are silver and gold, the work of human hands. They have mouths but speak not; they have ears but see not; they have ears but hear not; no breath is in their mouths. Those who make them will be like them, and so will all those who trust in them. (Psalm 135:15-18) If only we humans might remember that in the end . . . these little gods cannot forgive us, save us, redeem us or love us as God does. We have reflected during our Noontimes that little gods creep into our lives without notice and it is in this way that we become unwitting collaborators in the creation of an illusion; today we look at how a nation of people who have been blessed by God turn away from God’s goodness. The children’s story of The Emperor’s New Clothes http://deoxy.org/emperors.htm from the Hans Christian Anderson collection is an apt allegory not only for Hosea’s society but for our society today. We have only to determine if we number among the adults who have ceased to think for themselves . . . or if we are the astonished child who announces: The emperor is naked! Like the child, Hosea cries out to the people of Israel. And like the child, our prophets of today cry out against the obtuse among us. When we become frustrated with a herd mentality that drives idiotically toward the precipice or when we give up all hope that the small voice of truth might be heard above the clamor of a self-deceiving crowd, we must turn away from our little gods of anxiety and desperation and turn to God, for it is God who best understands what is to be disbelieved and dispossessed. And it is God who knows well how to convert the darkness of despair into the beauty of joy, for it is in the darkness that God plants the seeds of new life. And so we pray . . . Good and forgiving God, remind us that we have only to be open to a newness that you will bring out of the ignorance and despair we witness today. Show us the newness born of the dark that is your compassionate healing and eternal transformation. Amen. Senior, Donald, ed. THE CATHOLIC STUDY BIBLE. New York, Oxford University Press, 1990.1112-1113. Print. The author of this brief letter is believed to be the Apostle John and it gives us a window on the world of the early church with its factions and arguments. We see the interwoven themes of hospitality, truth, and love . . . three concepts we might spend time with today. In the jumble of names we might finally work out that the leader Diotrephes has stepped outside of the Johannine tradition by refusing hospitality to some of John’s disciples. This action would be counter to the kind of behavior Jesus nurtured among his own apostles, and counter to the traditions of the early church. “Itinerant Christian preachers were dependent upon the hospitality of Christians among whom they ministered. This built up networks between the scattered churches and fostered a sense of solidarity. The local churches saw themselves as belonging to the one church, united around the foundational truth of the Gospel”. (ARCHAEOLOGICAL STUDY BIBLE 2035) In this ancient culture, hospitality was essential. Travel by foot through arid and sometimes hostile regions required open homes and welcoming brothers and sisters at journey’s end. Generosity with one’s goods and time was essential for survival in this environment. Fear of false teachers was and is a legitimate concern, but we know from this short letter that the rejected missionaries had been sent by John himself so certainly there was no reason for alarm. As John writes: We ought to support such persons, so that we might be co-workers in the truth. John appeals to those who want to withdraw into a purist sect and he points out that separatism is counter to Jesus’ universal call to unity. 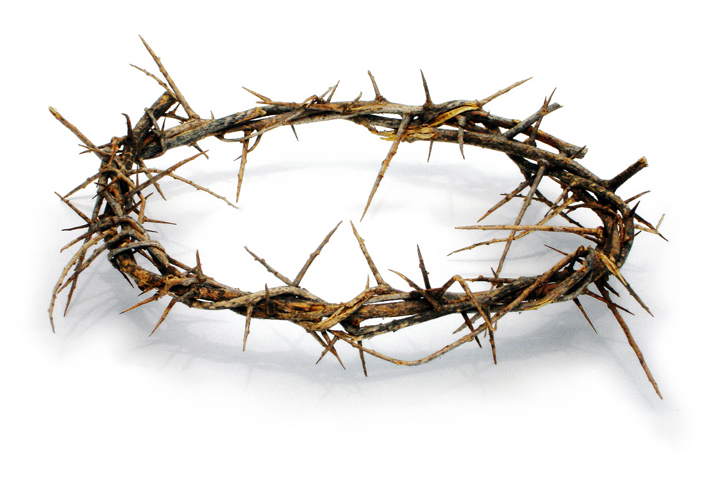 Jesus’ truth-followers seek union with others – not separation or elitism. John urges his fellow Christians to support his faithful ministers so that they might be seen as messengers of Christ’s word rather than ordinary pagan beggars who lived off the goodness of others with little or no contribution to society. In today’s Noontime we hear an echo of John’s assertion in his first letter that what the apostles have seen with their eyes, heard with their ears and touched with their hands can be believed. Jesus was among them . . . he died . . . he rose again and is with them still. This is a truth that cannot be denied and it is an absolute demonstration of Jesus’ love for humanity. John tells us that we in turn must demonstrate our belief in this reality by offering open arms and welcoming hearts to fellow co-workers in this truth. When we read this letter carefully, we see the elements of a prudent and wise method of confronting the obstinate, self-centered rejection of goodness: Send an opening greeting with an offer of dialog, recommend continued conversation, delineate the points of argument, and center all decisions on Gospel thinking of unity through variety. In 1 Corinthians 12, Paul expresses clearly how Christ creates the union of diverse parts: There are different kinds of spiritual gifts but the same Spirit; there are different forms of service but the same Lord; there are different workings but the same God who produces all of them in everyone. To each individual the manifestation of the Spirit is given for some benefit. We are reminded by both John and Paul that not one of us has sole possession of truth . . . yet Christ’s truth lives in the gathering up of all who believe and act in him. When we open our hearts and homes for Christ to act through us, we become the co-workers John speaks of today, we become seekers of Christ’s truth rather than our own. We become co-workers in the only truth that matters. This we can believe. ARCHAEOLOGICAL STUDY BIBLE (NIV). Grand Rapids, Michigan: Zondervan, 2005. 2035. Print. We will be away from the Internet for several days. Please enjoy this reflection first posted on July 23, 2011. We have examined scripture to reflect on the ways in which the beauty, wisdom, truth, and love in our identity in Christ exemplify our relationship with God in the Spirit. Jesus tells us who he is, reflecting Yahweh’s promise of “I Am Who I Am”. Today we continue to reflect on who we are, and on how we respond to God’s call for merciful justice in all of creation. Rather than giving in to our fear that we might fall away from the Vine of Christ, we consider the beauty of union with all of creation. Rather than seeking revenge for the injustices we suffer, we reflect on the wisdom of grafting ourselves to the healing truth of the abiding Spirit. Rather than lamenting the evil that stalks societies, we contemplate the truth of pruning away all that separates us from the courage and patience of God. Today we have the opportunity to produce fruit on the great vine of life. Today we rejoice in the gift of Christ’s vineyard. Today we come together in the Spirit of beauty, wisdom, truth, and love. you drove out other nations and planted it in their land. its roots went deep, and it spread out over the whole land. its branches overshadowed the giant cedars. To find more Vine and Branches posts on this blog, use these links. Enter the words, Vine or Branch into the blog search bar to explore other reflections. When we compare other versions of these verses, we discover the beauty, wisdom, truth, and love of our relationship of Vine and Branches. A reprise from October 28, 2013. The whole of Israel used to give the cantors and gatekeepers their due portion for each day. 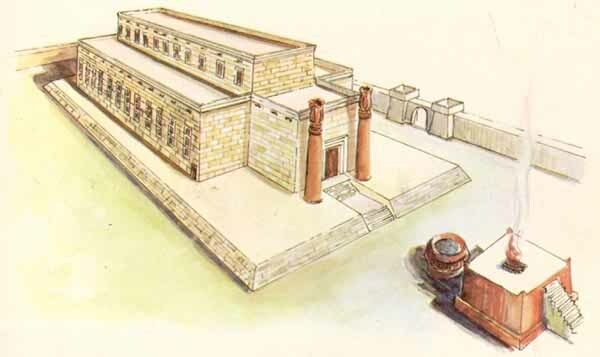 Nehemiah describes not only the restoration of the Temple when the exiles return from their place of deportation; Nehemiah also explains that the rites and rituals were also restored. All those who officiate at liturgies are to receive their due portion. In return, the Levites, the sons of Aaron and all those who make liturgy possible are to perform their duties. 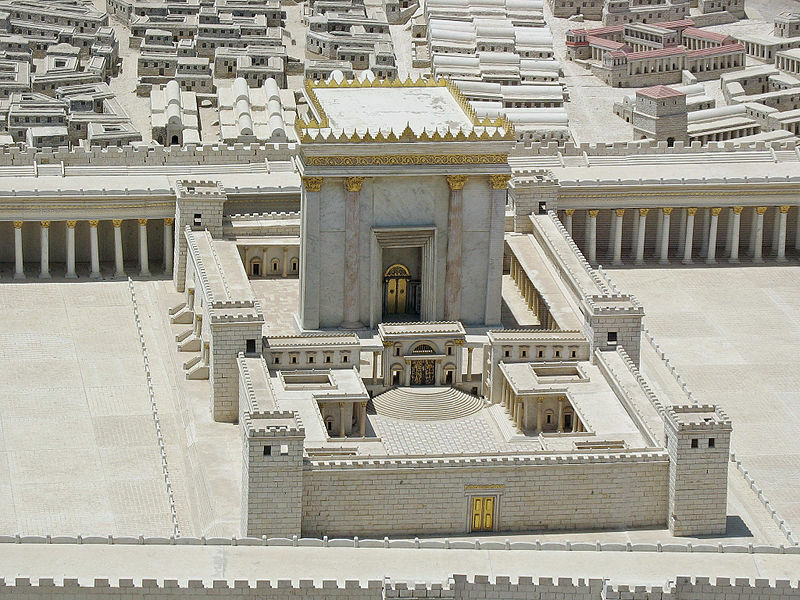 Nehemiah not only rebuilt walls and external structures, he rebuilt internal structures as well. God says: Each of you deserves your due portion. When you insist on having less or more you upset your natural balance. When you take more than your share you deny others of the goodness I have in store for them. When you take less, you deny the gift you are to the world. When you corrupt yourself or others you corrupt the vessel that contains hope for the world. When you deny yourself or others you also deny me. Carry out the task shown to you. Fulfill the hope planted in you. Come to me with your questions and concerns. Rather than take more or less than is meant for you, rather than fill your barns to bursting or depleting your energies until you are fully spent . . . receive your due portion and remain in the truth. This is where your true treasure lies. Why is it that the antisocial cannot see that their end is in their own work? Why is it that the Sanballats and Geshems among us do not see that the darkness in which they operate will eventually give way to the Light, to the Hope, to the Promise? The wise do not take flight – as Nehemiah did not flee. The wise do not fear the shameful stories, the discrediting talk, the false prophecies. The wise remain calm and firm in their God. Letters, tweets, posts and emails may fly, but in the end the truth will stand alone, and everyone will fully understand who has been the plotter and who has been the wrongfully blasphemed. In God’s time and in God’s plan those who abide by the Covenant, those who strive each day to put down roots by the bank of the river and soar up to the heights, to the light will bear fruit. Psalm 1 is a mini Bible in that it describes the person of God who suffers yet withstands the onslaught – not through their own work but by the grace and protection of God. They flourish and prosper, despite the treachery. They yield fruit in season. Their leaves do not wither, and whatever they do prospers. The Lord watches over the way of the just, but the way of the wicked leads to ruin. And so today we pray. Lord, keep me ever in your ways. Steer me clear of the paths of the scoffers. Abide with me as I strive to abide with you. I ask this in Jesus’ name. Amen. Adapted from a reflection written on September 16, 2007.